Japan is undeniably abundant in many amazing things. They have a very interesting history as well as an incredibly rich culture. Their cuisine and traditional meals and dishes are things you can't get anywhere else and the art that they create is praised by fans as well as artists from all over the globe. With all these things that they offer their locals and foreigners, it might be hard to imagine them still aiming to get better at certain things but, the truth is, they still do try to improve on aspects that they believe they are still lacking in. 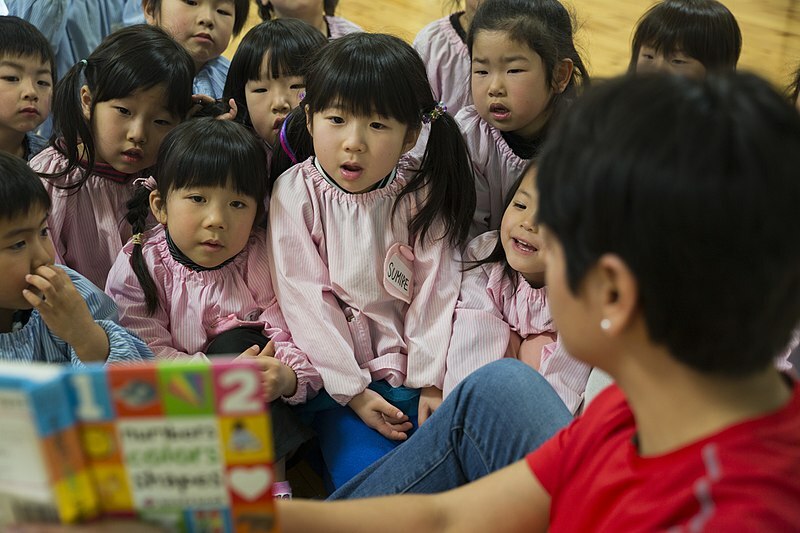 A perfect example of such a thing is speaking in other languages and since English is still one of the most spoken languages in the world presently, it makes sense that there is a growing demand of able English teachers in Japan today. Teaching in Japan is just like teaching in any other country but it is given a lot of importance in Japan because the mastery of this language here can truly make it easier to develop relationships. It is also because of this reason that countries like Abu Dhabi, China, and the United Arab Emirates or the UAE have given importance to learning this language. Since it is just like any other professional job, it is mandatory for you to show and prove that you are qualified for the job through certificates and accreditations that you have accumulated throughout the years of your career. There is no denying that having a higher level of experience at the job will make you a preferred candidate by the employer but it isn’t necessary because everyone is given a fair chance to wow their interviewers. Experience is not a deal breaker when it comes to English teacher jobs in Japan but not having the documents and requirements are so make sure that you have them upon your application. These documents may vary depending on where you are applying but, more often than not, English teachers in Japan need to have at least a Bachelor’s degree and the corresponding documents to validate that fact. Most ads will specifically ask only for native English speakers as teachers but as long as you are just as proficient and knowledgeable about the language as any native speaker can be, there should be no problem that you have ESL or “English as a Second Language”. It is also important to note where you plan to apply for a job because, in some cases, there is a need to get a TEFL certification. This is short for “Teaching English as a Foreign Language” and having such a certification will make it easier to filter the applicants who are more likely to do great at this job. Since this proves as the assurance of the applicant’s skill as an aspiring English teacher, most private institutes make this a requirement for their applicants. As long as you didn’t lie about your capabilities to speak and teach the English language, you should have no problem getting this international certification as well. Now that you know what you will most probably be asked for in your application, it would be highly useful for you to know your options as an English teacher in Japan. There are 3 major types of English teaching jobs you can find and each of them caters to a specific age. This is so because the English you need to know at a certain age is different from what you might need to know if you are younger or older. A perfect example to explain this is the first option as an English teacher in Japan which is to be an ALT or an “Assistant Language Teacher”. Choosing this path for your teaching career will lead you to teach in the Japanese public school system, specifically to elementary and junior high students. These kids are young and will only probably use the basics of the English language in casual conversation. With this said, you as a teacher won’t need to teach them complicated English business terms because they would have no use for that type of knowledge. It is more likely that they forget information like that because they won’t be able to practice and use it every day like the other things they learn from the class. Teachers in this type of system earn around 250,000 yen or nearly 2200 US dollars. Since it is a school, your working hours here are Mondays to Fridays from 8 AM to 5 PM. It would also be useful to know that the amount of students you teach per class as an ALT is usually 40 students at most. This may be a challenge since you will not be able to focus on all students every single time but it is a manageable number to teach considering that your students are kids. Also, note that these jobs are usually available when school starts so that would be on either March and April or August and September. The second option you have when looking and applying for a job as an English teacher is to provide an education in private schools or language institutes. The age range of your students will vary depending on whether you end up teaching in a private school or a language institute because these are two different establishments that cater to two different needs of people. The students you will have in private school will most likely be the same as those you will handle as an ALT while the students you might teach in an institute can range from an adult to an enthusiastic teenager who wants to learn about English. The beauty of applying in private schools and institutes is that you can do it as a part-time employee as well. 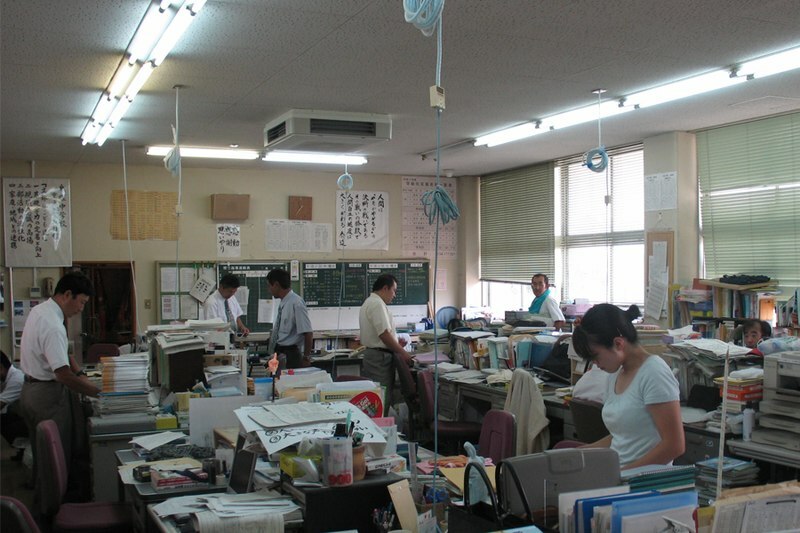 Full-time employees usually get a monthly salary of around 275,000 yen 300,000 yen, depending on where you apply and your attained experience, while part-time employees are given half the monthly salary of a full-time teacher. Another difference is that the classes you teach in private schools and institutes are only made up of 15 students at most. This makes it extremely easier to focus in on every one of your students to ensure that they are learning all there is to learn from what you are teaching them. it is said that the location of 90 percent of these types of jobs can be found in Tokyo while the other 10 percent can be found in towns and rural areas so if you want to improve your chances of landing a job, you’ll probably want to check out opportunities in Tokyo first. Note that, unlike the first option, applications and start dates for this type of job is monthly so you can still apply to them on months like October, January, and any other month you have might to try. The last option you have when applying as an English teacher in Japan is to teach English online. With technology advancements making it very easy to talk to a person that isn’t in the same country as you, it makes sense how a job like this was born. You will still need to pass the same requirements you would submit if it was a regular job but then there is a huge upside to this type of teaching job because you can do it within the corners of your home. This means that you get to save money because you do not need to commute or travel anywhere to get the job done. In some cases, you don’t even need to be in Japan to teach English to Japanese people. Unlike the prior types mentioned, the online English teaching jobs cater to more than one age range. The students book your services per hour and they can be children, working adults, and even people so old that they can be grandparents already. Since you provide your teaching service by the hour, you will also be compensated per hour so, in essence, the more you teach, the more you earn. Another thing to like about this option is that the teaching materials are provided to you by the employer. This means that you don’t need to make any educational materials for your classes and your students which lightens the workload of this job tremendously. When looking for an English teaching job, there is more than one thing to consider as an employer and employee. The most obvious among these things is the fact that you will also need to know how to speak and read the Japanese language. Remember that the people you are teaching have little to no knowledge of the English language so, during the start of your sessions, you will definitely need to introduce them to English with the use of Japanese. This becomes more difficult as you teach the professionals in the business industry and is also the reason why having a solid background in business is very useful to have, especially if you are gunning for the higher paying English teaching jobs in Japan. it is these type of people that pay a lot to learn the language they need to make more business connections so, as a teacher, you must be adequate and equipped to handle their needs and requests during your classes. Aside from knowing Japanese and having business background, if you aren’t applying for an online job that can be done at home, you will also have to consider the location of the place you will be working at. Commuting in Japan is easy because of their beautiful railway systems but it would still make the job a lot easier if you were near where you had to work. It saves you time and money and it also makes you a prioritized applicant if your employer knows that you are nearer to the workplace than the other applicants. 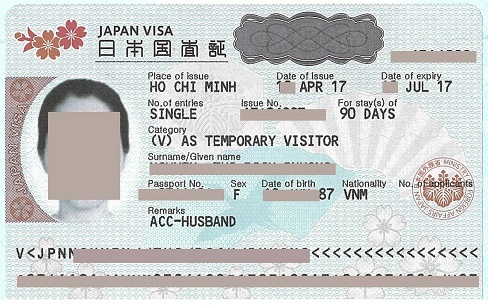 It was mentioned earlier that you will definitely need a visa to work as a teacher in Japan. These types of documents may be effortless to get for some but it is undeniable that this isn’t the case for everybody. With this said, if you think you will have a hard time getting a working visa or if you are already having a hard time getting a visa, you should consider applying establishments and institution that have visa sponsorships. When they offer this, it means that it is part of their service to you to help you get the documents you need to do your job properly. Not all jobs have visa sponsorships so the fact that the English teaching jobs get this perk shows how much Japan values the learning and mastery of the English language. Living in Japan also isn’t cheap so you will need to make sure the salary you are getting from your job is enough to take care of yourself. If you are new to Japan, it may be hard to balance paying the rent and saving money from your salary but, luckily, teaching establishments have also developed a way to help their employees with this problem. Some jobs come with housing arrangements so that you need not worrying about anything else but the teaching you have to do. These housing arrangements do not come for free but they surely help their employees in a big way, especially if the salary they are getting are at the entry level. All the information accessible to you here is very useful if you are serious about looking for an English teaching job in Japan. The aid provided by the employer to their employees truly show that they will be taken care of. The only thing there is left to do is to find where these job offers are and, fortunately, with the help of the internet, you can look for these types of opportunities in the comforts of your home. These are many websites you can search for that will direct you to those businesses who are looking for capable teachers. All you need to do is take time to look for opportunities that fit what you want and need and then work hard to impress them so that you secure that dream job.